Meritnation.com is an educational initiative of Applect Learning Systems Pvt. Ltd., a leading education and technology company it provides online and offline (correspondence courses) solutions to school students. Meritnation’s online & correspondence courses cater to students from classes 3rd to 12th in subjects such as Maths, Science and English for CBSE, ICSE and other leading State Boards. The website provides content for Social Studies, Hindi and Sanskrit for CBSE classes 6th to 12th and online test packs for leading entrance exams such as AIEEE, BBA & CPT. 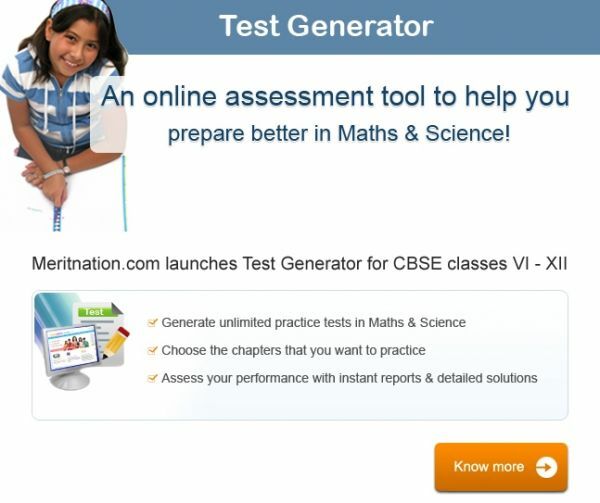 Customized learning solutions, complete with detailed feedback reports, a variety of tests, study material enriched with videos etc. ensure a great academic performance and make studies fun and enjoyable – a fact that is vouched by thousands of satisfied Mertination users in India and abroad.